Zimbabwe's opposition declared its leader as rightful president Friday, rejecting the official result of a March 29 election which saw it fall just short of toppling Robert Mugabe in the first round. Nearly five weeks after voting, the electoral commission announced that Morgan Tsvangirai, leader of the Movement for Democratic Change (MDC), had won 47.9 percent against Mugabe's 43.2 percent, and said the pair should now face a run-off on a date yet to be announced. However, the MDC said Tsvangirai had been deprived of an outright majority after the commission robbed it of tens of thousands of votes. Western governments said the outcome lacked credibility. The ruling party disputed the commission's figures but said it would accept the overall result and Mugabe would contest a run-off. "Since no candidate has received the majority of the valid vote cast (...) a second election shall be held on a date to be advised by the commission," chief elections officer Lovemore Sekeramayi told reporters in Harare. A third candidate, former finance minister Simba Makoni, won 8.3 percent and now drops out. The MDC's number two, Secretary General Tendai Biti, said the commission, whose leaders are appointed by the president, had inflated the number of votes for Mugabe by 47,000 and deflated those for Tsvangirai by 50,000. "Morgan Tsvangirai is the president of the republic of Zimbabwe to the extent that he won the highest number of votes," he told a press conference in South Africa. "Morgan Tsvangirai has to be declared the president of Zimbabwe." Under the terms of the Zimbabwean constitution, Mugabe would be declared the automatic winner if Tsvangirai refused to take part in a second round. 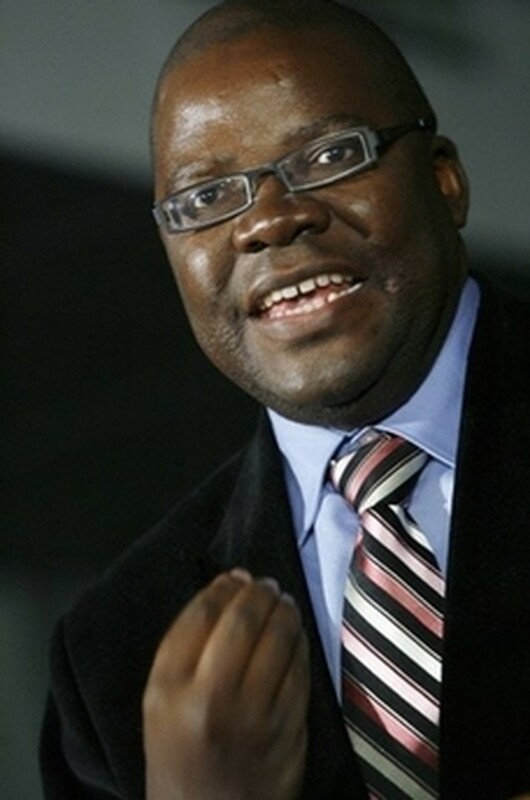 "We are fully aware of all the pros and cons," said Biti. A senior Mugabe aide accused the commission of deflating the figures for the incumbent. However Emmerson Mnangagwa, who has been acting as Mugabe's agent, said the president was prepared to contest a run-off. "The president accepts the result as announced and is offering himself for election in the (im)pending presidential run-off." Mugabe's ZANU-PF party is challenging another 52 results from elections in which it lost control of parliament for the first time since 1980, Mnangagwa added. "The petitions have been filed with the electoral court," he said. The authorities in Zimbabwe had earlier ordered a recount in 23 constituencies, which left the MDC with 109 seats against the ZANU-PF's 97. Mugabe has remained silent on the outcome of the presidential vote, but his control of the security apparatus has led the MDC to conclude that he will seek to intimidate voters into giving him a sixth term. But the hero of the 1970s war against white minority rule has found himself increasingly isolated since election day with an international outcry over an upsurge in violence. In Washington, a State Department spokesman said the results had "rather serious credibility problems" and doubted a run-off would be free and fair. British Foreign Secretary David Miliband said Mugabe had "clearly lost," calling for an end to intimidation before a second round can be held. "His campaign of violence and intimidation over the last month must stop immediately," Miliband added. No Western observers were allowed to oversee the ballot and a team from the Southern African Development Community (SADC) was widely criticised for giving it a largely clean bill of health. However in a report released Friday after a follow-up mission to monitor a recent partial recount, SADC expressed alarm at rising levels of violence that the MDC claims has left 20 of its supporters dead. "The increase of violence, torture, pillages, destruction of goods and killings of people proved the existence of a climate of political intolerance," the report said. South Africa President Thabo Mbeki told religious leaders in Pretoria that he will send a mission to investigate political violence in Zimbabwe. Nyansako Ni-Nku, head of the All-Africa Conference of Churches, told SAPA news agency that Mbeki will "despatch a team to check every allegation of violence." Once solid in support of Mugabe, regional governments have grown exasperated, with some four million Zimbabweans believed to have fled economic meltdown. A one-time regional model, Zimbabwe now has the world's highest rate of inflation at 165,000 percent. Unemployment stands at over 80 percent, basic foodstuffs are scarce and life expectancy has dropped to 36 years of age.